We develop clinical studies with samples of patients to statistically evaluate the significance of clinical interventions and treatments on the biomechanics of human movement. We objectively evaluate sport performance and injury risk in indoor conditions combining laboratory data with computational subject-specific models. Our Motion Analysis Laboratory has 18 NaturalPoint OptiTrack Flex 3 infrared cameras; which offer integrated image capture, processing, and motion tracking in a powerful, compact package. These cameras are capable of capturing fast moving objects at a sample rate of 100 Hz. By maximizing its 640 × 480 VGA resolution through advanced image processing algorithms, these cameras can track markers down to sub-millimeter movements with repeatable accuracy. The cameras operate with the software Motive, also from OptiTrack, and we export captures to OpenSim or Matlab to develop our dynamic analyses and simulations. The Laboratory includes two AMTI AccuGait force plates for the dynamic measurement of ground reaction forces and moments in space, and the displacement of the centre of pressure (COP). These force plates use Hall effect sensors to accurately measure ground reaction forces, while allowing for internal amplification and high overload protection on all axes. Force measurements can be viewed in real time using the AMTI NetForce software for data acquisition, or directly imported to motion analysis softwares to perform inverse dynamics. 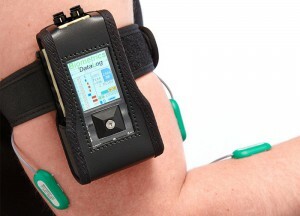 We can also perform surface electromyography (EMG) measurements using a 16-channel EMG system, that consists of 2 Biometrics Datalog MWX8 and 16 surface EMG sensors SX230. The design of the system allows to measure the muscle electrical activity during contraction with little skin preparation. The quality of the signal received is excellent for both static and dynamic applications. The system comes with a dedicated software for data visualisation and analysis. Moreover, the system can be synchronised with third party systems, such as the motion capture system or the force plates. We also offer the possibility of measuring in-shoe plantar pressure using the Tekscan F-Scan system. 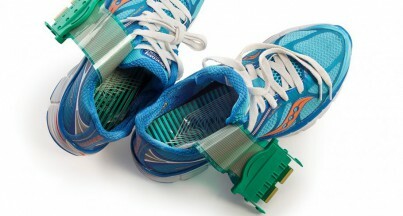 This system uses flexible and thin sensors that are placed inside the shoe to capture timing and foot pressure information during a certain human motion, such as walking or running. The Datalogger VersaTek Unit allows to store the data at a sample rate up to 750 Hz.